2013: The Annotated Wisdom of Louis C.K. 2005: Centralization of air conditioning sux! The other day I got my hands on a copy of “Despicable Me“. Maxim watched all of it and somewhat enjoyed it. For me though it was a disappointment. One of the biggest setbacks were the characters. I think that characters are one of the main things that separate animations from movies. Movies are more or less forced to cast actors. And the best actors are only a few. So movies have to rely a lot more on the acting talent in order to create unique characters. In animations, the characters are drawn. And while that is not an easy job either, I think it is much easier to draw a new character than to create one in the actor. In this animation, all characters were carbon copies of characters from other cartoons. And that alone is enough for me to disregard this cartoon. On top of that, the story was anything but engaging and original. 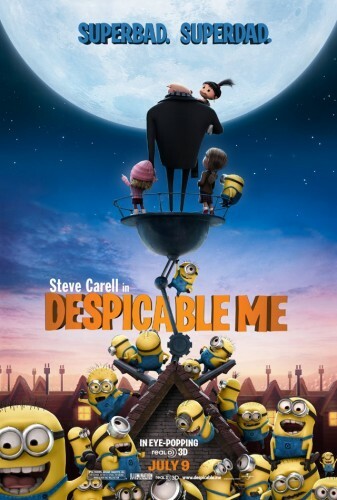 And to add insult to injury, I personally thought that the voice of Steve Carrell didn’t match Gru’s character. Every time Gru spoke, I had a feeling that there was someone else in the scene, someone who was actually speaking, someone that I could not see. As a result of all that, I got bored and disgusted by the animation and left the room about 20 minutes into the story. And that is, I assure you, not something that I do very often. Hence, my overall rating is 1 out of 5. There are so many beautiful animations out there, and this one is not one of them. Come on, it’s not so bad. I would give it 3.5-4 out of 5.